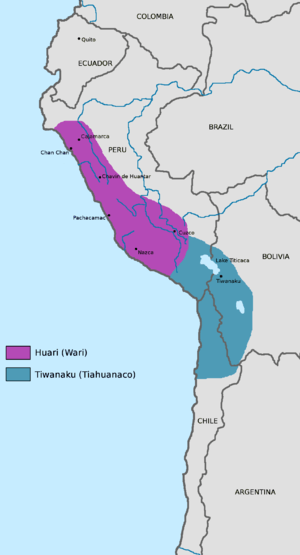 The Tiwanaku (Spanish: Tiahuanaco or Tiahuanacu) state was a Pre-Columbian polity based in city of Tiwanaku in western Bolivia that extended around Lake Titicaca and into present-day Peru and Chile from 300 to 1150. There are many theories about the type of Tiwanaku state, one opinion is that it was a far-reaching military empire, while other theory is that it was the center for regional religious pilgrimages and llama caravan trade routes without much political authority. The Tiwanaku empire was most likely a result of direct colonization of nearby areas and cultural dominance over more distant areas, where Tiwanaku’s influence was based on religion, culture and trade instead of direct military and political control. The empire was more like a federation of autonomous regional communities for whom Tiwanaku was the center of religion, culture and trade. Tiwanaku expanded its reach into the Yungas and brought its culture and way of life to many other cultures in Peru, Bolivia, and the people of the Northern regions of Argentina and Chile. It was not exclusively a military or violent culture. In order to expand its reach, Tiwanaku used politics to create colonies, negotiate trade agreements (which made the other cultures rather dependent), and establish state cults. 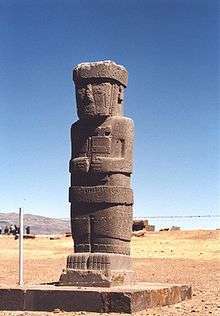 Others were drawn to the Tiwanaku empire due to religious beliefs, as it continued to be an important religious center. Force was rarely necessary for the empire to expand, but on the northern end of the Titicaca basin resistance was present. There is evidence that the bases of some statues were taken from other cultures and carried all the way back to the capital city of Tiwanaku, where the stones were placed in a subordinate position to the Gods of the Tiwanaku. They displayed the power that their empire had over others. The empire continued to grow, absorbing other cultures rather than eradicating them. 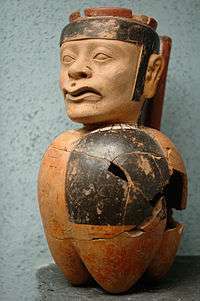 Archaeologists see a noticeable adoption of Tiwanaku ceramics in the cultures that became part of the empire. Tiwanaku gained its power through the trade it implemented among the cities within its empire. The community grew to urban proportions between 600 and 800, becoming an important regional power in the southern Andes. William H. Isbell states that "Tiahuanaco underwent a dramatic transformation between 600 and 700 that established new monumental standards for civic architecture and greatly increased the resident population." Early estimates figured that the city had covered approximately 6.5 square kilometers at its maximum, with between 15,000–30,000 inhabitants. However, satellite imaging since the late 20th century has caused researchers to dramatically raise their estimates of population. They found that the extent of fossilized suka kollus across the three primary valleys of Tiwanaku appeared to have the capacity to support a population of between 285,000 and 1,482,000 people. Archaeologists such as Paul Goldstein have argued that the Tiwanaku empire expanded outside of the altiplano area and into the Moquegua Valley in Peru. After 750 there is growing Tiwanaku presence at the Omo site complex, where a ceremonial site was built and in Chen Chen. Excavations at Omo settlements show signs of similar architecture characteristic of Tiwanaku, such as a temple and terraced mound. Evidence of similar types of artificial cranial deformation in burials between the Omo site and the main site of Tiwanaku is also being used for this argument. 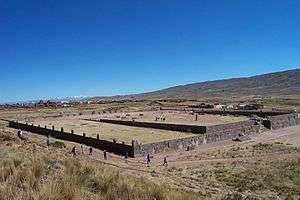 Tiwanaku established several colonies as far as 300 km away, of which one of the better researched is the colony in Moquegua Valley in Peru, which is 150 km from lake Titicaca and existed between 400 and 1100. This colony served as location for agricultural production, as well as the location for copper and silver mining. 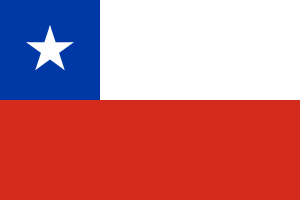 Small colonies were also established in Chile’s Azapa Valley. Tiwanaku's power continued to grow along with the surplus of food resources until about 950-1000. The decline began at around 1000 and was complete by 1150. There is evidence of gradual decline in population, as well as destruction of some monuments. The most likely explanation is the change in weather patterns, which reduced ability to grow food and sustain the large populations as the groundwater levels fell and raised-field system collapsed. It’s estimated that the water level in the lake dropped by as much as 12-17 meters. A dramatic shift in climate occurred, as is typical for the region. 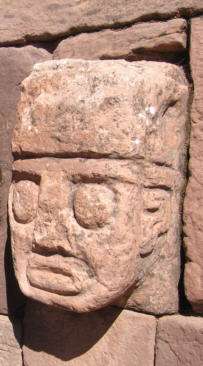 Other archeologists support theory that Tiwanaku fell as a result of uprising, as almost all public and ritual areas show signs of intentional destruction. Monolithic gates, like Gateway of the Sun, were tipped over and broken. By the end of Tiwanaku V period the Putuni complex was burned and food storage jars smashed. This indicates an event of destruction, followed by abandonment of the site. Colonies in Moquegua and on Isla del Sol were also burned around this time. 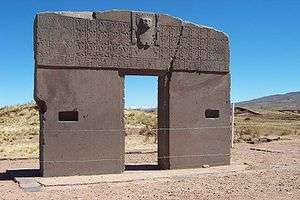 What is known of Tiwanaku religious beliefs is based on archaeological interpretation and some myths, which may have been passed down to the Incas and the Spanish. They seem to have worshipped many gods, perhaps centered on agriculture. One of the most important gods was Viracocha, the god of action, shaper of many worlds, and destroyer of many worlds. He created people, with two servants, on a great piece of rock. Then he drew sections on the rock and sent his servants to name the tribes in those areas. ↑ Baker PA, PA; Dunbar, RB (2001-01-26). et al.. "The history of South American tropical precipitation for the past 25,000 years". Science. 291 (5504): 640–3. doi:10.1126/science.291.5504.640. PMID 11158674.